PAGE BY PAGE: Smith's latest tackles the father-son dynamic. Below: the author. The bond of family is a strong theme that Caribbean writers like to explore in their prose and Jamaican-born author Horane Smith is no exception. 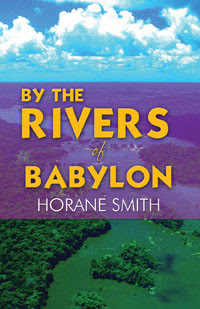 At the centre of the award-winning writer’s latest novel, By the Rivers of Babylon is a father’s effort to forge a solid relationship with his only child. The novel (Smith’s ninth release) chronicles a New York-based Jamaican singer named Ron Weir, who learns that he has a son a week before the child’s mother dies tragically. As Ron tries to make up for lost time with his son, he must also battle resentment, tragedy, and an uncertain future, even as he tries to unravel the many questions that confront him night and day. Though best known for writing historical fiction that explores fascinating pieces of the past (Lover’s Leap, Dawn at Lover’s Leap), Babylon marks Smith’s third effort steeped in more contemporary fare. “I love both genres, hence my attempt to create a balance,” explains the Toronto-based writer, whose body of work also includes Reggae Silver and Seven Days in Jamaica. 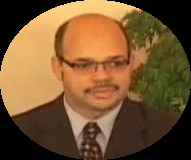 “There are more novels in both genres to come, all with Jamaican themes,“ he assures readers. “I do try to alternate between historical and contemporary wherever possible, but it doesn’t always happen that way.” To learn more about Smith and his intriguing body of work, visit horanesmith.com.